iPod PC Transfer supports all modal and all version of iPod, iPhone and iPad You may want to backup the music of your iPod or iPhone, to use your iPod, iPhone with a new computer, to copy songs to your new iPod, or to use your iPod or iPhone in more than one computers. Your music library is priceless. With iPod PC Transfer, you can easily transfer music, videos, books, ringtones from any iPod, iPhone to any computer, copy songs, playlists, ratings from iPod to iTunes, iPhone to iTunes library. 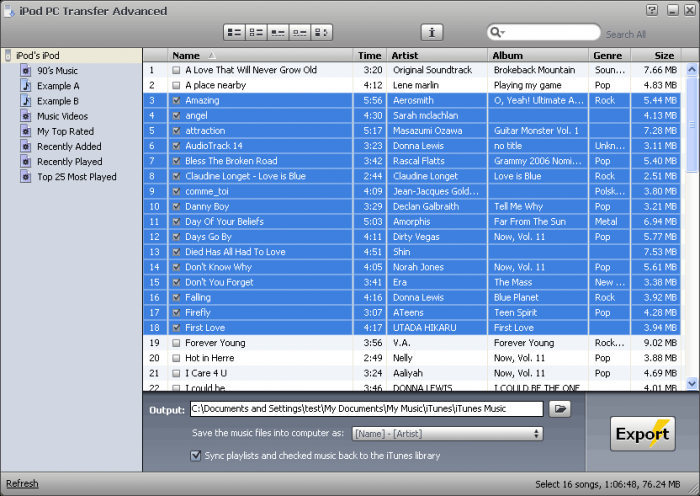 No matter what happened, you can always restore your music library from your iPod, iPhone or iPad with iPod PC Transfer. Transfer songs from iPod to PC. 1st iPod to PC Transfer.